A great gift for any Games of Thrones fan. 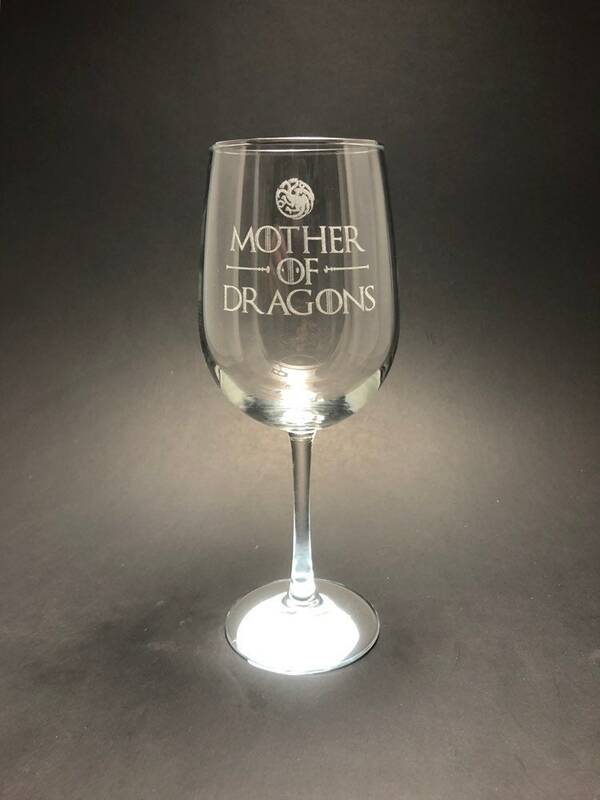 Mother of Dragons is etched into this 18.5 oz wine glass in a GOT style font. 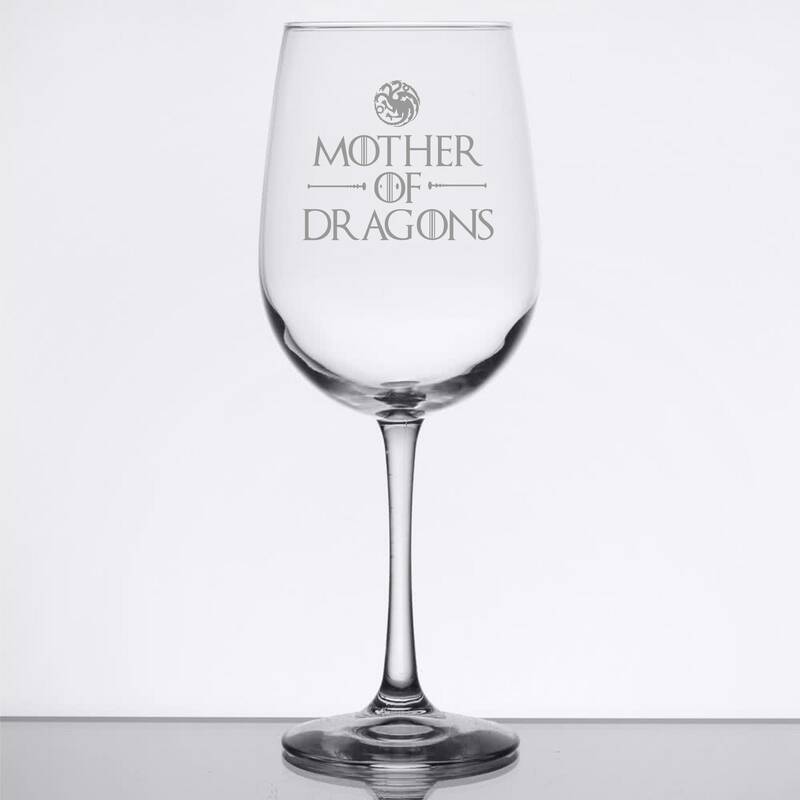 If you're a fan of Daenerys Targaryen in the series, this is the wine glass for you! 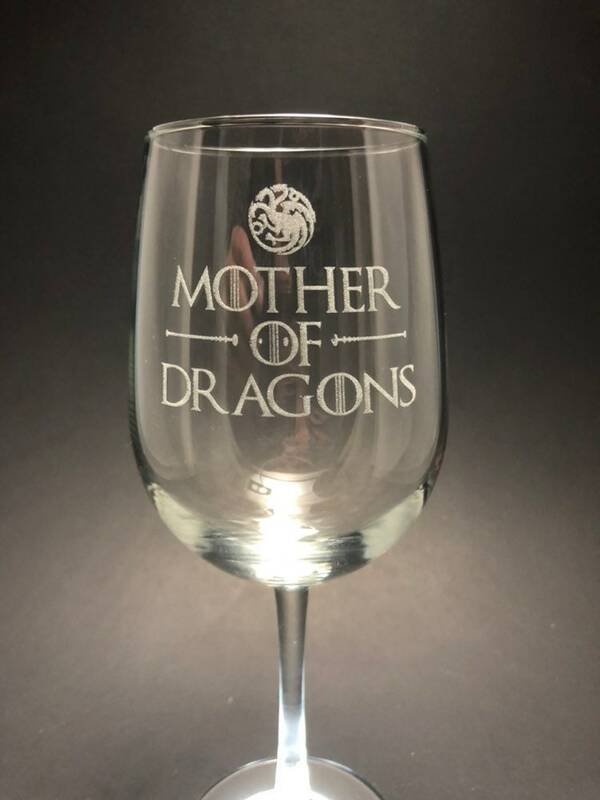 This is a great glass to sip wine with friends while watching the show.